Per the NEJM Career Center, one of the more obvious, income-based changes is that there are now far more covered services. Starting in 2012, insurers started covering 63 new preventative services, including autism screenings, mammographies and even contraception. Then, in 2014, more services were added under the umbrella of "essential health benefits," which includes everything from managing chronic diseases to mental health services and a greater scope of maternity care. This new flood of services also included barring treatment from pre-existing conditions, a huge help for patients with various chronic diseases. With patients having access to a larger selection of covered medical services, it also means that most people will have to pay together. As CNN reported in early 2015, the silver-level plan - the most popular option under ACA - is more expensive than the average employer-based policy. That's true when it comes to drug payments, deductibles and patient co-pays. For instance, deductibles on employer plans average at $1,217, compared to the silver plan's $3,453. Co-pays, meanwhile, were slightly more manageable for primary care visits ($24 versus $36). Patients having to pay more inevitably means that doctors see a larger share of those payments. According to a summer 2016 report from the healthcare staffing firm Merritt Hawkins, 19 of the 20 most common medical specialties all saw salary increases. Some of these were as high as 13-15 percent for specialties like urology and noninvasive cardiology. The reason for these increases? Greater competition for doctors, as Medscape Medical News explained, as the healthcare industry is flush with talented physicians. Despite the salary increases for thousands of doctors nationwide, the income system is both unequal and at times needlessly complex, as U.S. News & World Report pointed out in mid-2015. For one, the bulk of the pay increases didn't go to primary care physicians; these PCPs still make $100,000 less than specialists ($195,000 vs $284,000). 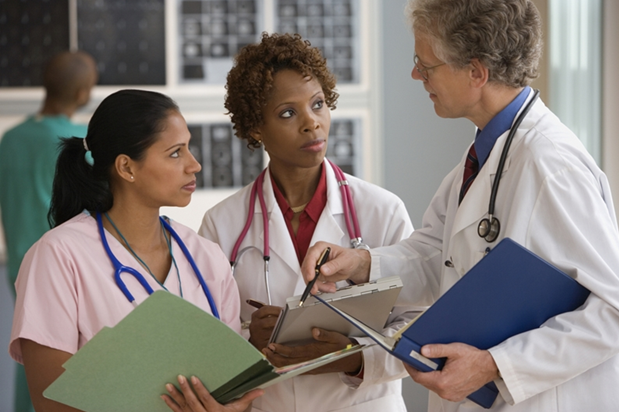 Due to that pay gap, many doctors have moved into specialties, and as a result, a Kaiser Family Foundation report noted that the current number of PCPs only meets 60 percent of the national requirement. It's also worth noting that not every state pays doctors equally. Per the U.S. News piece, the top five most-earning states for physicians includes North Dakota and Alaska ($330,000), Wyoming ($312,000), Wisconsin ($309,000) and Oklahoma ($304,000). The top 3 especially have a less-dense population spread across the entire state, and that might explain why capable doctors are in such high demand. When the ACA first passed, many believed that doctors' income would be cut severely. But as Forbes countered in June 2016, physician pay has been trending upward even before ACA's passing. In fact, many doctors are "getting their best deals in years," especially when it comes to responsibilities like medical malpractice premiums.